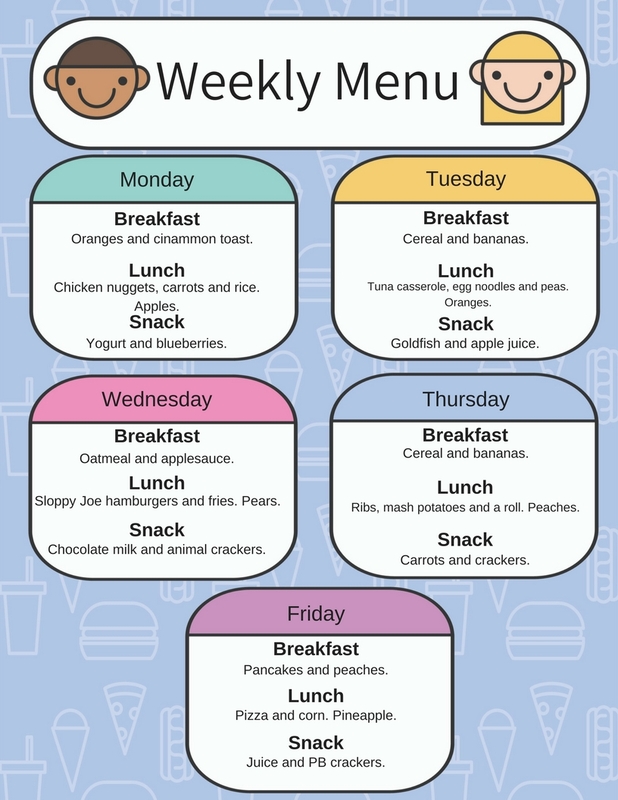 At TLC Foundation Station, we are concerned with the health and nutrition of all children. 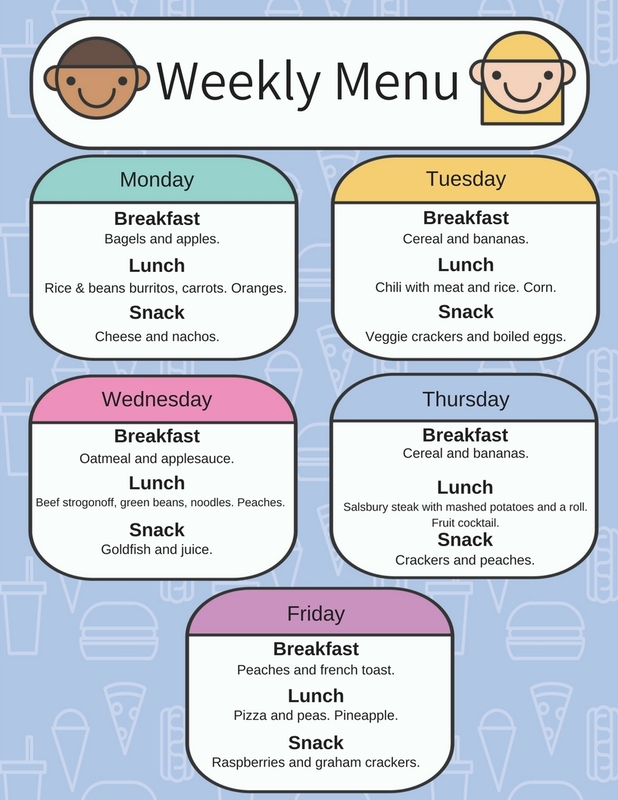 We participate in the USDA Meal Program which gives us the opportunity to offer your children nutritionally balanced meals and snacks. 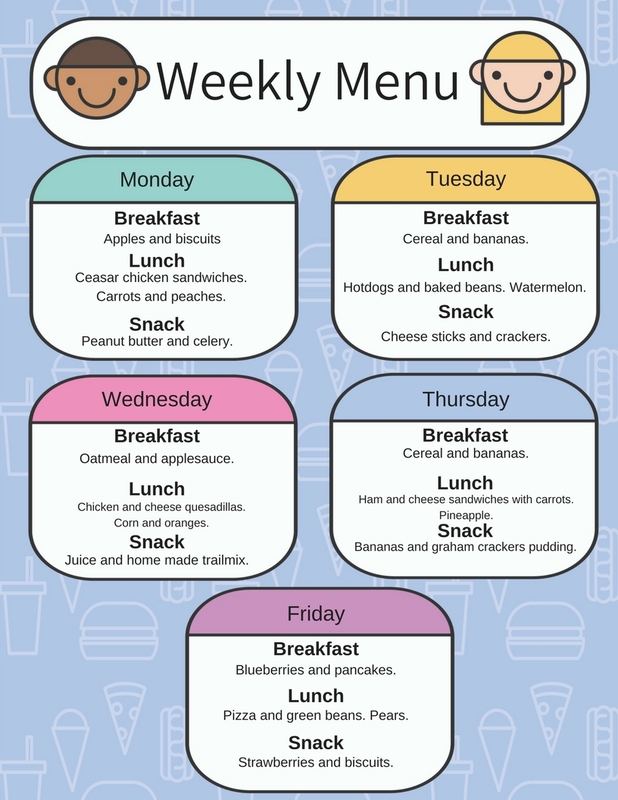 Weekly menus are available on our website, distributed to the parents via email ad published on the parent information board in the lobby. 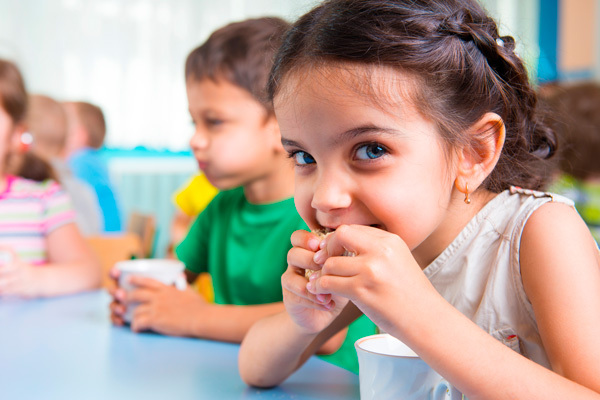 Outside food is not allowed unless there is a special circumstance, and it has been agreed upon with the director. Please note: breakfast and lunch are served with milk, and afternoon snacks are served with water or juice, unless otherwise noticed. 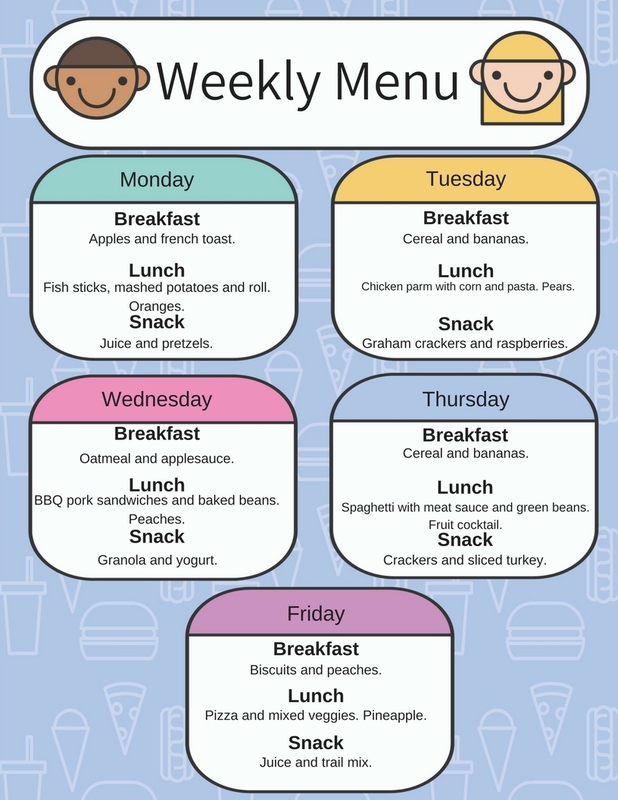 Click on the links below to find out what the kids are eating this week.